Ultrasound education through the Philips Online Learning Center is the perfect way to get your ultrasound CME and CE credits. 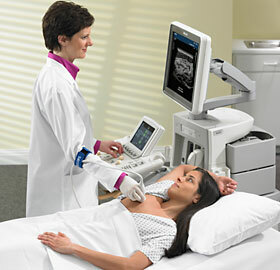 Today, sonography is at work across a broad range of medical applications. From cardiovascular to musculoskelatal, Philips ultrasound continuing education offers you courses developed by leading industry professionals. Our interactive, self-guided content always provides you with the very latest information. Philips ultrasound CME courses are geared toward the physician and sonographer currently working in a specific discipline or to serve as an introduction for those who may want to gain information about a specialty in which they are not yet experienced. Each course is engaging and easy to experience - just right for the busy sonographer. The Philips Learning Center assists the healthcare professional by delivering quality continuing medical education that’s relevant and timely. Our ultrasound cme online program is an example of our commitment to excellence in education.